Twin Boys, Ukuleles, Tree Climbing, Exploring In The Woods, Smiles, Love, Hugs! 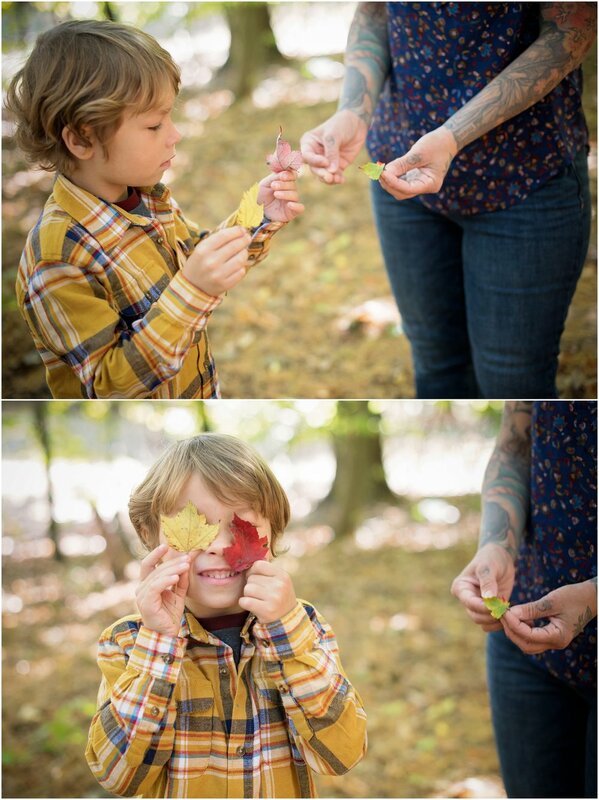 Straight up, I need to apologize to you all for the overload of images on this blog post... but Twin Boys, Ukuleles, Tree Climbing, Exploring In The Woods, Smiles, Love, Hugs, Autumn Leaves!!! I mean, how can I NOT post a ton?!? So, Sorry for the overload, but I love too many, even more than I have posted here. This is one fun family and I am SO GLAD they found me and chose to work with me! It is almost these QT-pie boys birthday... I wish them a very happy, force (Star Wars) filled, Birthday celebration! That top black and white image there... that has to be a future album cover! Photographing people fully engaged in nature is my super favorite, I am soooooooo glad we found this tipi and took the time to explore it. You just never know where a family session will take you, this one really is like the forest bath sessions I offer. See more about the Forest Bath Session on the Forest Bath section of my web site, I would love to do this with everyone! http://phyllismeredith.com/forest-bath-gallery/ There is such powerful healing in nature! Jump for joy! Autumn sessions are so much fun! Thank you for choosing to work with me! !